The only sheet music App with true automatic scroll. Feel the freedom: automatic scroll. 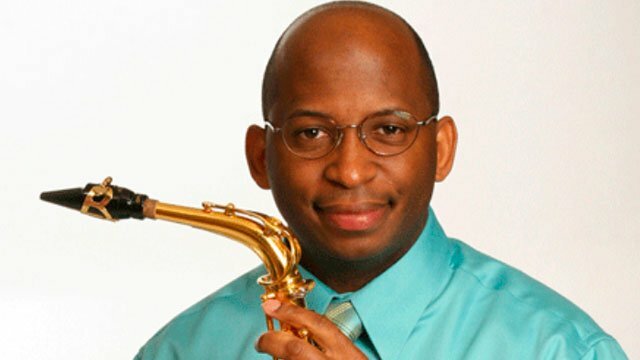 Practice and perform live with your sheet music flowing in front of you. Never worry again about page-turning manually, using foot pedals or with any other device and focus only on what matters: your performance and the pleasure of playing. Welcome to the new era of sheet music. Your sheet music library, anytime, anywhere. Say goodbye to hauling around music sheet books, folders and binders of scores that are hard to manage. You can import all your scores and access them even offline. And right from the start the app includes a huge selection of music pieces and methods already available for FREE! Take control: edit your scores. When you can edit a score, you really make it ``yours``. 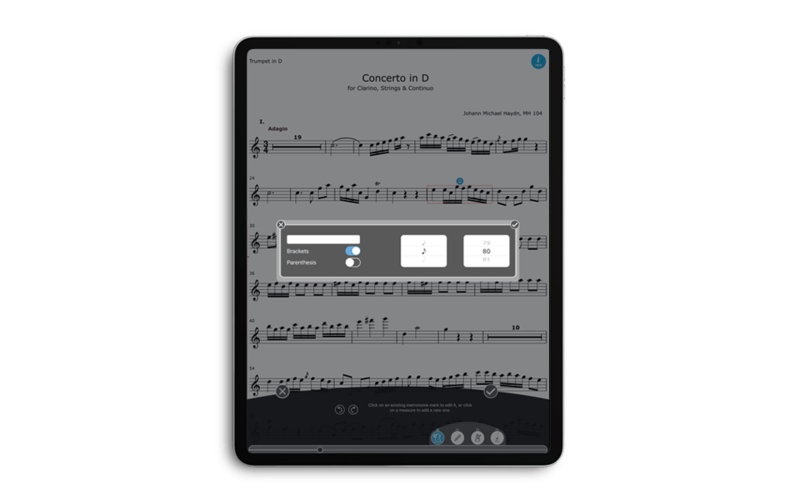 Enjoy the endless possibilities to add, modify and delete the elements of your sheet music, including full management of repetitions. And of course share them with any other user! 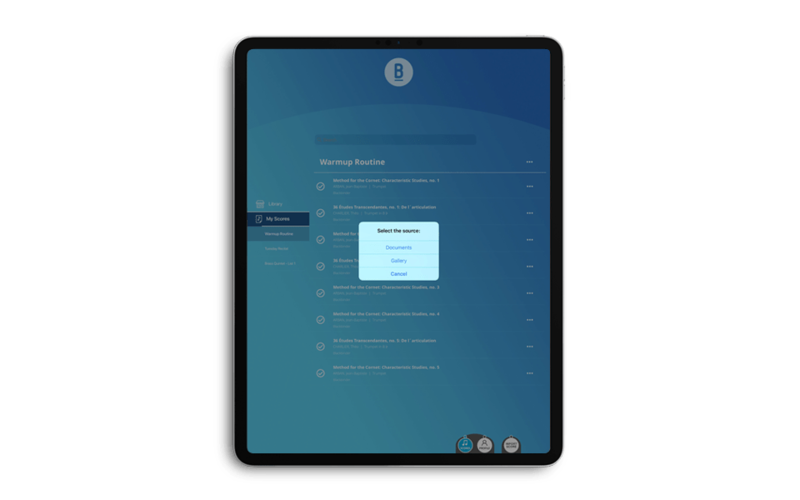 Whether you are a soloist, or part of an ensemble or an orchestra, a student, a professor, or a professional musician, being able to easily annotate in as many layers you need and share your annotations will boost the effectiveness of your rehearsal. 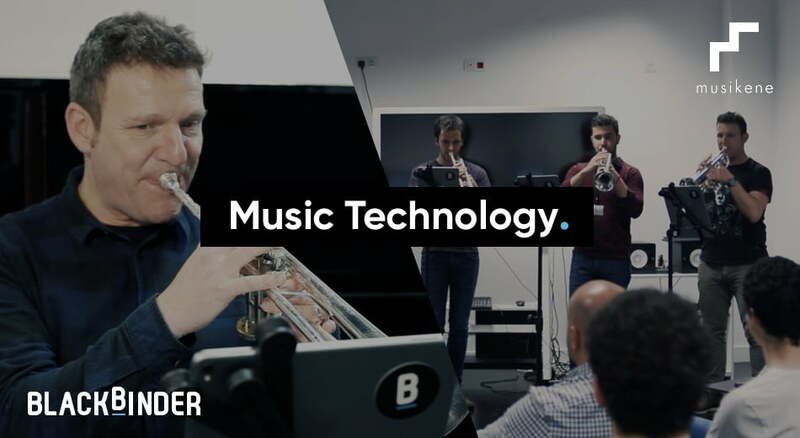 At BlackBinder we are trying to bring a revolutionary change to the world of music scores: the automatic scroll. 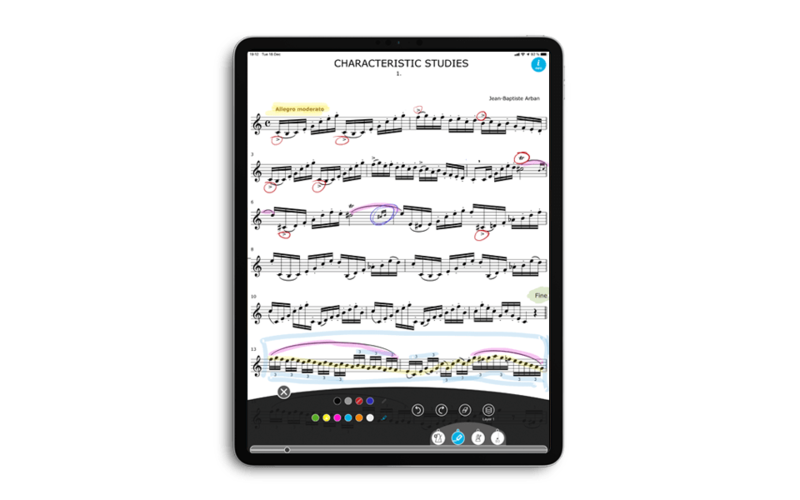 Our goal is that you can study, rehearse and perform with a full-fledged App improving upon all the features most other advanced Apps have, and incorporating a radical change: you can see the sheet music flowing in front of you, never having to turn a page again. Our algorithm converts pages into a continuous flow that adapts to the music score, scrolling as you play your instrument. Yes, it is very much like a teleprompter, but with a whole set of additional features. 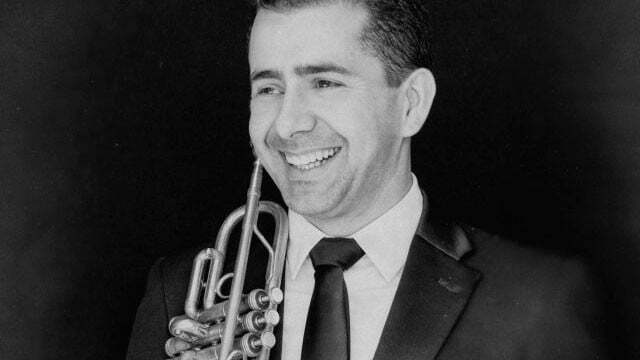 As all revolutions, this is not a simple endeavor, and so we are approaching it very humbly one instrument at a time, starting with trumpet and gradually bringing in the rest of brass instruments, incorporating all the intricacies and complexities inherent to each. This also makes a big difference as we adapt to you and your specific instrument. 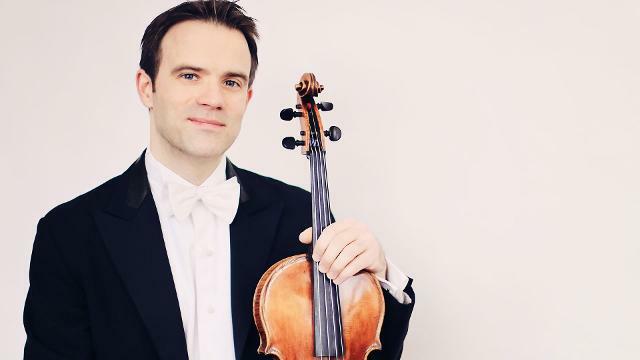 We of course can adapt ad-hoc special requests for special purposes for other instruments, and have indeed been used live by quite a few ensembles and orchestras worldwide, so we invite you to suscribe to our newsletter to stay tuned so we can keep you posted on our latest advances. This is our commitment to do things well: adapt our App one instrument at a time. Eastman School of Music (ESM), or “Eat, Sleep, Music.”. Aha!At Eastman, they actually do have t-shirts with that motto. We think that’s pretty cool, and that it says a lot. So much so that it could perfectly well be our motto too! Our list of collaborations with higher schools of music keeps expanding with the one conservatory where we always felt we had most potential: the Boston Conservatory at Berklee. 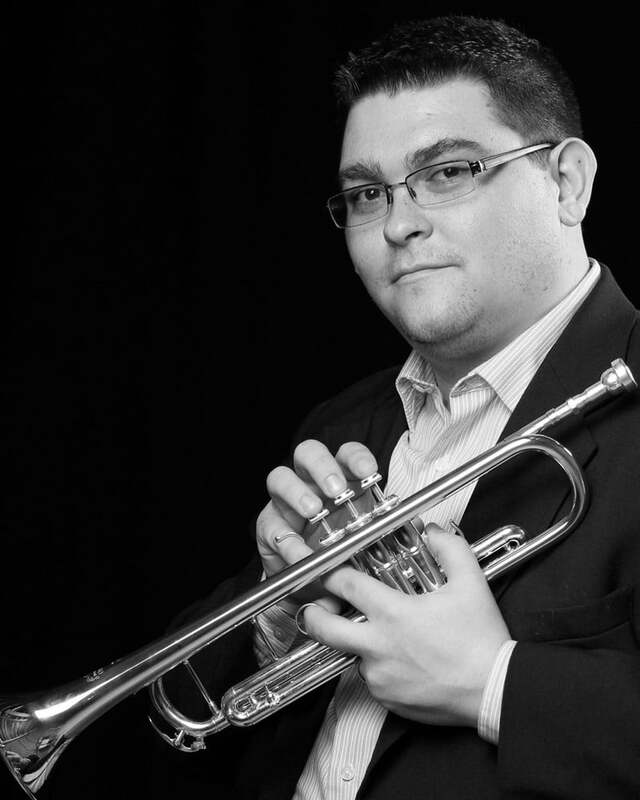 As part of the growth BlackBinder keeps demonstrating this season with concerts with higher schools of music such as Jacobs in Indiana, or Guildhall and Royal Academy in London, on March 26th, Musikene held a concert with trumpet students and one of their professors, Luis González. The premiere of “Un Sueño Morisco” took place last week on March 21st and 22nd at the Teatro Monumental in Madrid. 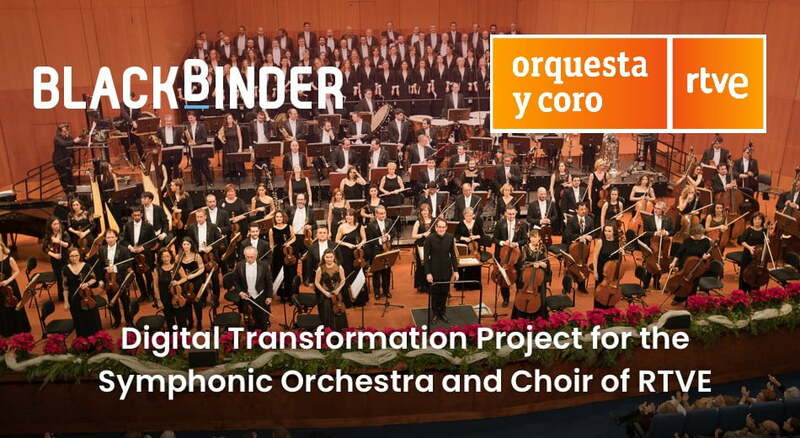 This is the start of the Digital Transformation project the symphonic orchestra of RTVE with BlackBinder.